Like everything else in the marketing industry, email marketing trends are constantly changing. So if you're looking for the new methods and strategies to use for 2018, you're in the right spot. 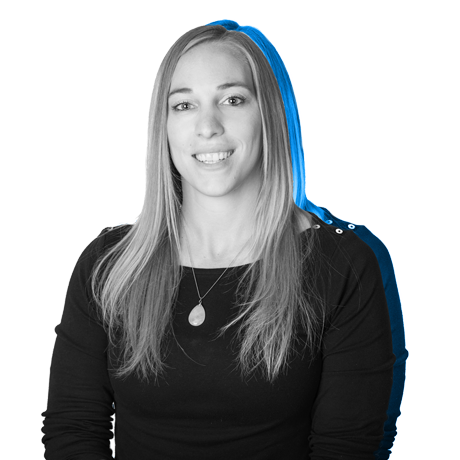 This blog will cover the new trends, strategies, and statistics - because data should always drive your decisions! First, let's mention the elephant in the room - is email marketing still relevant in 2018? Well, I can assure you, it is. But I'm guessing my personal assurance isn't as reassuring as I'd want it to be ... so let's take a look at some cold, hard email marketing statistics. That number should speak to your C-Suite. Segmenting your email list will continue to be an effective tool in 2018. I dig into this idea a little further down. Video strategy is prevalent topic across the board for 2018. These statistics could go on forever and ever, but I understand you don't have all day to read interesting and thought-provoking stats, so those were the heavy hitters. The statistics above should have given you the proof that email marketing is crucial to your campaign success in 2018, so let's dig into the trends that should lead your email marketing efforts. Personalization has been a highly-discussed topic in email marketing for several years. In 2018, personalization in email marketing is no longer optional. If you want to be successful, do it. Simple as that. We now live in a world where everything is customizable to our preferences, and it is now an expectation. Start with a plan - it's not enough to have good intentions. The tools are available (oh hey, HubSpot) to assist you in sending targeted emails that include relevant content to the right person, at the right time. Ask for the right information in your forms. This one is a little more tricky, as it's a balance between what information you request, and what you are providing to increase the conversion rate on your form. Once you have a plan in place and you're collecting the right information, it's time to look at your list. This is critical. According to MailChimp's latest data, segmented email marketing campaigns get 14.64% more email opens and 59.99% more clicks compared to non-segmented campaigns. 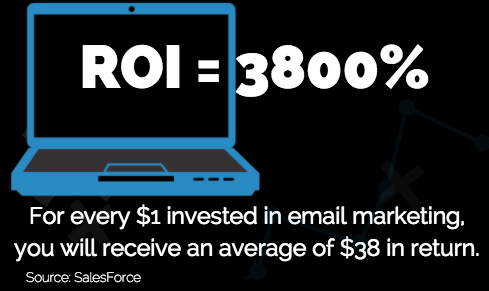 Relevant emails drive 18 times more revenue than broadcast emails (Mailigen). Segmented emails include relevant and useful information developed specifically for customer behaviors, preferences, and lifecycle stage. The point of segmentation is to make sure that the content you're delivering to your recipients is relevant, useful, and worth their time. If recipients continuously receive information they don't want, need, or aren't interested in, they are going to unsubscribe or worse, mark it as spam. The goal has changed. It's no longer enough to just convert a prospect into a customer, now the focus is on converting the prospect to a customer and maximizing the lifetime of the customers. This is where that wonderful delight stage of the buyer's journey comes front and center. Email marketing is a great way to make sure you are touching base with your customers continuously. Keep them informed on new services, products, and company updates. Send them helpful hints and tie it back to how your company can assist. Remember it's more expensive to bring in a new customer than to retain a current one. Video is the hot topic in all of marketing, and that includes email marketing. Creating visually appealing content in your email is kind of a no-brainer, but why video? Video is entertaining and engaging. 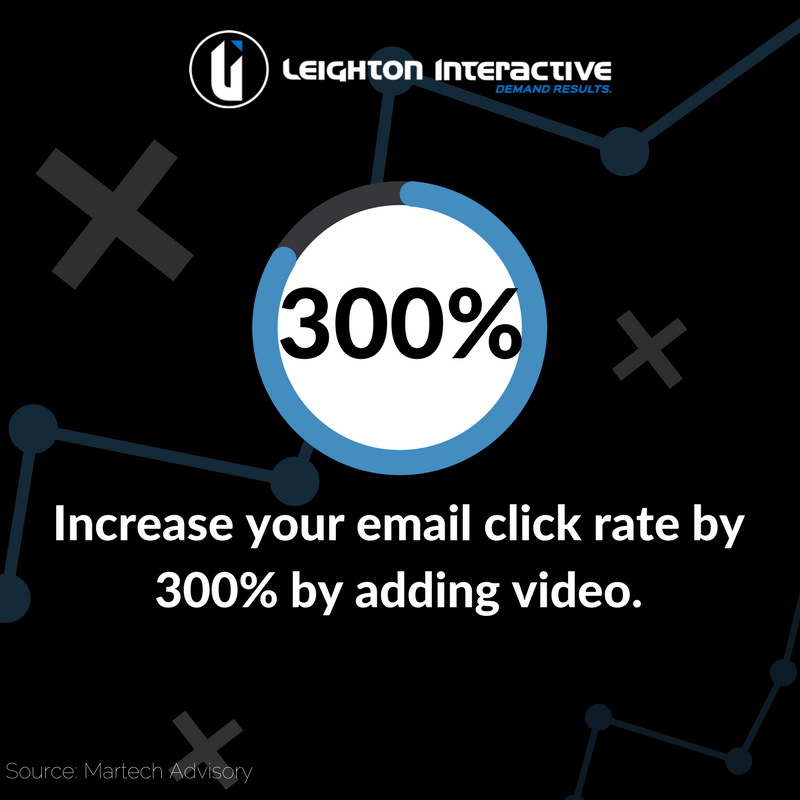 Don't take my word for it - including video in email can increase your open rate by 19% and increase your click-through rate by 50% (Campaign Monitor). Those are some impressive numbers. Now, I'm not saying that it's a simple task. Not all email systems will automatically play videos. Email marketers have to get a little creative, such as a photo with a play button that redirects to the video. Or using an automated GIF - it grabs attention. If your users are more prone to using iOS, Apple Mail, or Outlook.com, embed the video within the email. Above all, trial different tactics. Do the work and analyze your results. By analyzing your results after sending an email, you can determine what works best for your prospects and customers. Check out this four-part dynamic email marketing series if you're looking for pointers on how to optimize your email marketing campaigns. Well, there it is, a look at 2018 email marketing statistics and trends. If you're interested in learning how you can implement email marketing as part of your inbound marketing campaign, check out the free presentation below.